Despite being a relatively young team, Blueberry Hill of Linden is not ruling out altogether the possibility of winning the second annual Georgetown Football Association (GFA) Banks Beer Cup Knockout football tournament. So says coach of the team Garvin Croal. 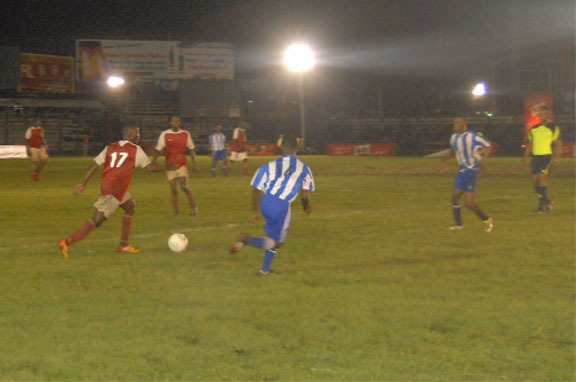 Blueberry Hill won their opening engagement against Caribbean United of Barbados 3-2 on Wednesday night at the Tucville Playfield. 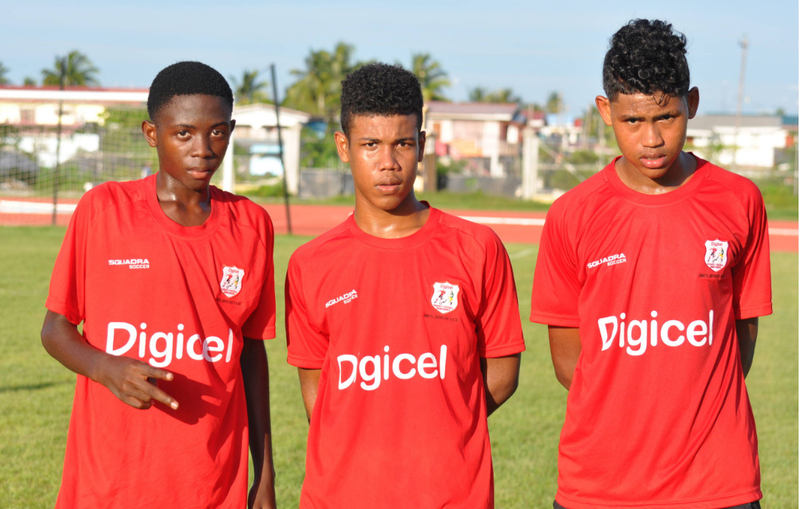 They face Northern Rangers FC at 6pm this evening at the Georgetown Cricket Club (GCC) ground, Bourda. “Winning the tournament of course is our main goal,” says Croal. “Realistically, I would be satisfied with a quarter-finals spot due to the nature of pre tournament preparations. We have a young team that is not afraid one anyone and that is willing to work hard to accomplish the goals we have set,” he declared. Unlike some teams, Blueberry Hill was mandated to compete in a qualification round in order to enter the main draw. “We had to go through the qualification rounds to get to the main tournament and all we have to do is keep working hard and preparing in the right ways and the results will take care of themselves. I believe that collectively we can win entire tournament,” an upbeat Croal predicted. “Only then can we become successful. He said because of the constraints of not being able to prepare before the actual tournament as his team was a splintered unit, he is targeting, realistically, a quarter-finals spot.